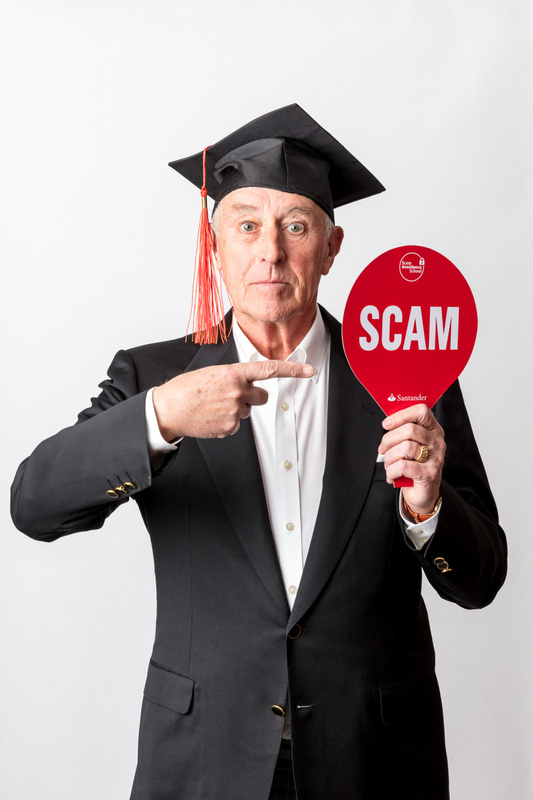 TV presenter, professional ballroom dancer and Strictly Come Dancing’s former head judge, Len Goodman, 73, added a new string to his bow when he enlisted with the SAS (that’s the Scam Avoidance School!). 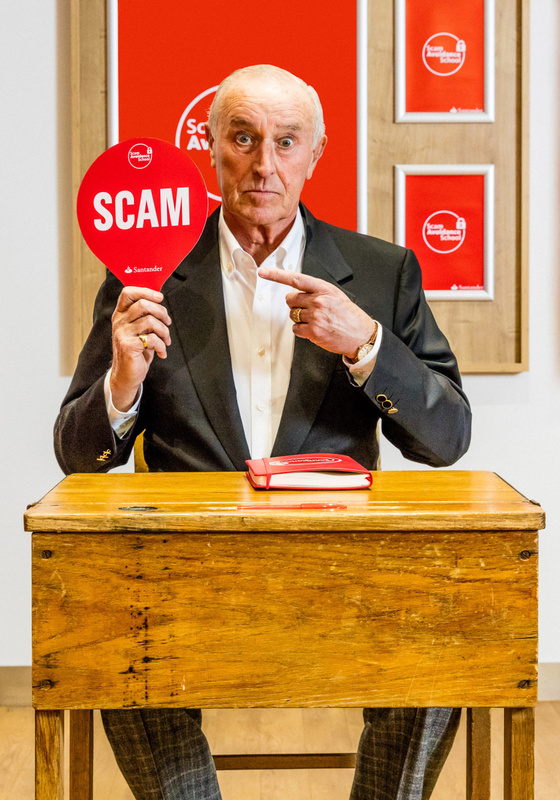 Created for our client Santander, the SAS is a free class being offered to over 60s all over the UK to help them avoid being taken in by scammers. 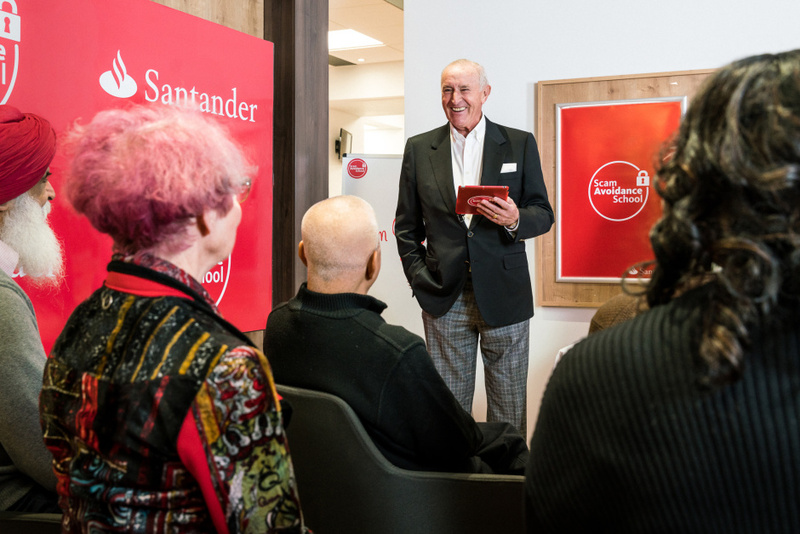 In a first for any bank, all 806 branches of Santander have been offering free scam avoidance training to the over 60s: potentially helping tens of thousands of older people all over the UK. 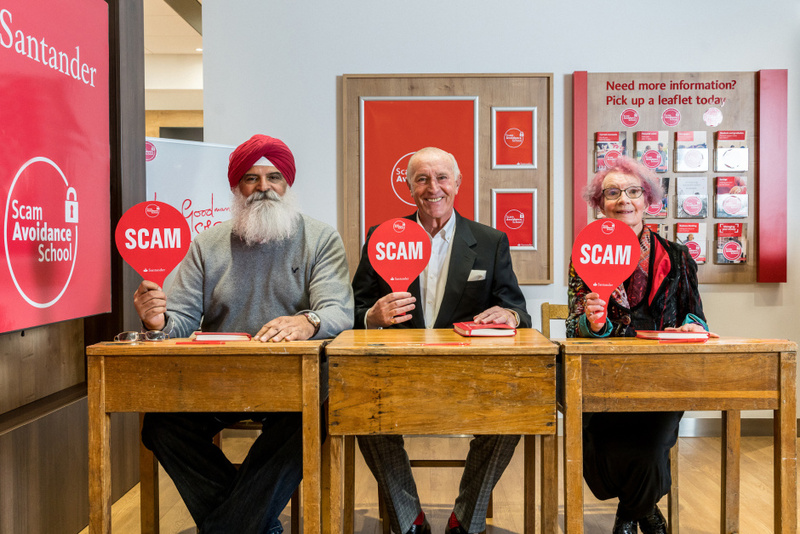 It followed research by Age UK highlighting how older people are one of the most at-risk groups for being scammed – and that upwards of five million over 65s have been targeted by scammers. And how did the Scam Avoidance School’s first student get on? 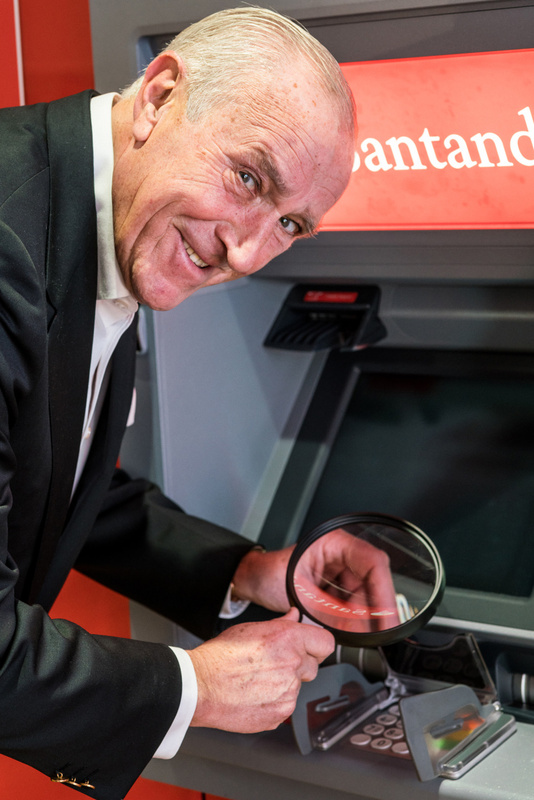 A perfect 10 for Len, naturally, who waltzed his way through a syllabus of phishing, vishing, smishing and cash point cons, and graduated ready to foil the cha-cha-chancers. Len even passed-on what he found out in his series of ‘Len’s Learns’ (a piece of content we made, which you can watch above). The announcement of Len and the SAS was an incredible success. Not only did Len Goodman spread the good word of the SAS live on Good Morning Britain, The Victoria Derbyshire Show and several radio stations, we’ve also had a perfect 10 showing in the national press, with coverage in the Daily Mail, Mail Online, Daily Express, Express online, Mirror online, Daily Mirror, Sun, i, Independent and Metro – not to mention regional coverage all over the country and a swag bag of showbiz pieces. 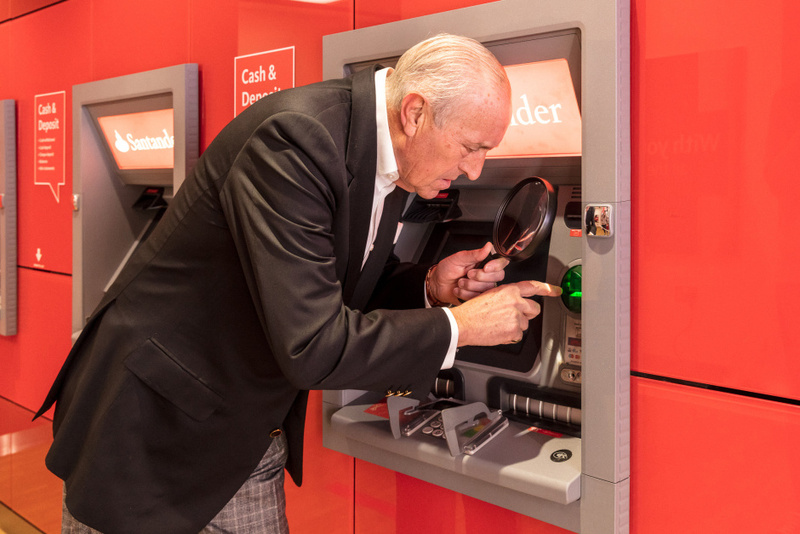 Most importantly, however, the SAS classes have been packed-out, with thousands of over 60s hot-footing to their local Santander branch to become scam avoidance pros. Lovely stuff.